Part of you wishes the very people entrusting you with their kids could know the depth of your heart and commitment to what you are doing. You also want them to know that as a WyldLife leader, you are a whole person, and that there is more to you than the games they see you lead in club. What if we take away the mystery of who we are, as whole people, and also invite the parents of our middle school friends to de-mystify who they are, too? They aren’t just a PTA mom, a traveling dad, an absent parent, a busy couple, a broken family, a well-respected parent. There’s more to your story, and there’s more to theirs. In the same way we want parents to know we are deeper than the cotton on the Q-tips we throw at club, we can get to know them that way, too! Here’s the beauty of removing the mystery by way of friendships: You will enjoy these friendships, and you will learn from them. You will find your heart shifting toward compassion, understanding and mutual edification. You will find God working in your heart here, as He also draws these dear friends closer to Him. This is energizing! So a practical application is this: Enjoy life with the parents of your WL kids! 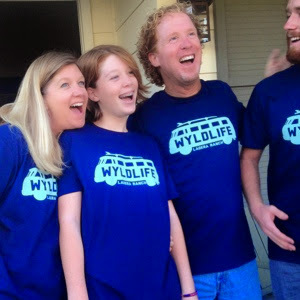 Below are 6 ways you might enjoy spending time with a WyldLife parent: Try one this school year! Go for a walk/walks with a WL parent. A person who loves to walk will love to walk with you. Yes, it’s really that simple. Call a WL parent. “Just wanted to hear how your mom is doing… how the new job is going.” Ask about something significant in their lives. Learn how to do something with a parent you enjoy spending time with. Tell them about things happening in your whole life, because remember, you’re a whole person, and so are they. They may enjoy showing up for you. May the Lord anoint, bless and continue to orchestrate friendships you’ll have with parents in your community. It’s amazing that we would find favor with adults; we know God’s hand is in this. May we be energized by getting to know people as whole people---not just parents, and not just as WyldLife leaders.